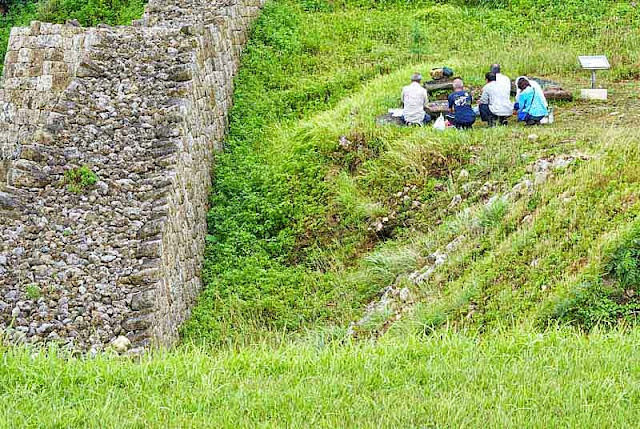 On the grounds of this UNESCO World Heritage attraction, there are sacred sites. Water wells, springs, shrines and groves may have visitors, worshiping and making offerings. This was the scene, I encountered, going up the hill to the castle. The photo was composed at a distance to show the stone wall and some terrain. Once the worshipers left the area, this photo of the sign at the spring was taken. 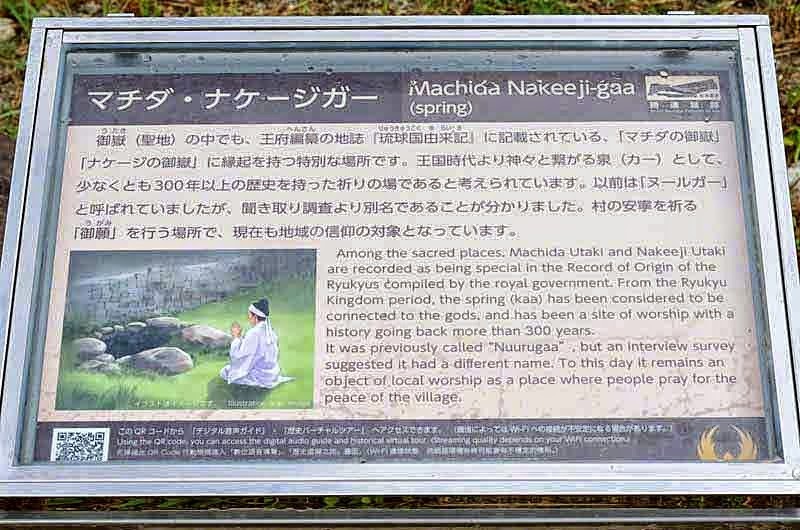 It gives a bit of history about the site and the name, Machida Spring. The images aren't anything, I would sell but, they help when I'm doing research. 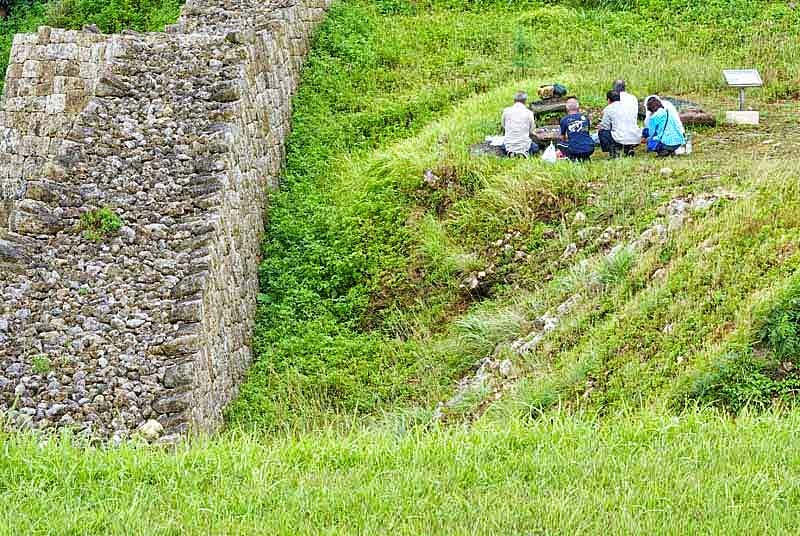 The people you meet at these places may be direct descendants of the royal families. It made me wish they hadn't taken off so fast, when it started to rain !